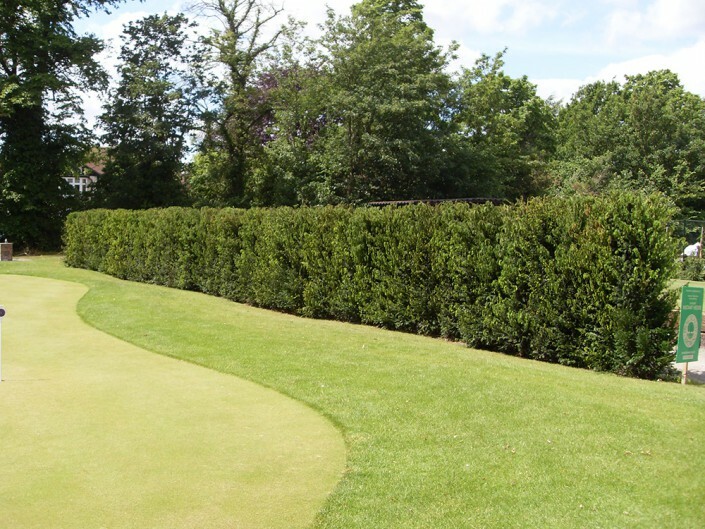 Yew Instant Hedge is a very popular choice, a timeless classic if you like. 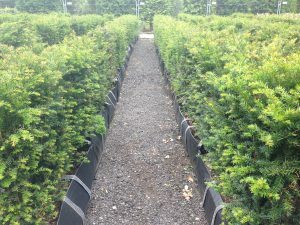 At home in any garden style from the traditional to the more contemporary, a Yew Instant Hedge is a perfect choice for dense, mature evergreen hedging. 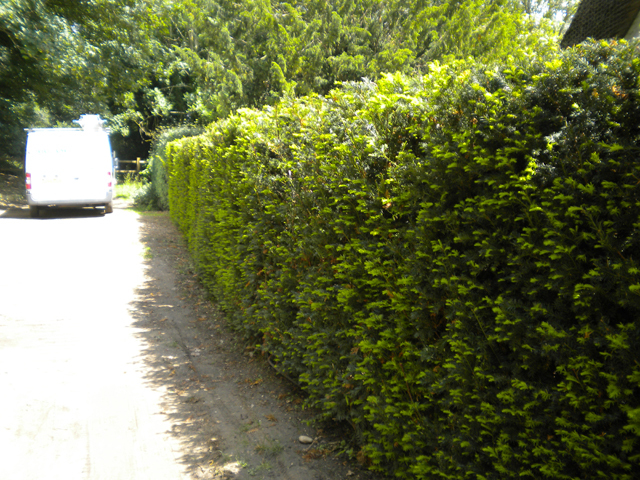 This Instant Hedging is available as an Elveden Instant Hedge at 1.2 and 1.5m high as well as Practical Instant Hedge at 1.0/1.2m high. 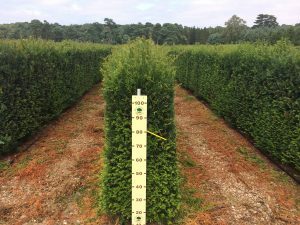 The plant itself, Latin: Taxus baccata, is a long lived native evergreen conifer that makes an excellent formal hedge when trimmed into classical lines and is also perfect for privacy screening. 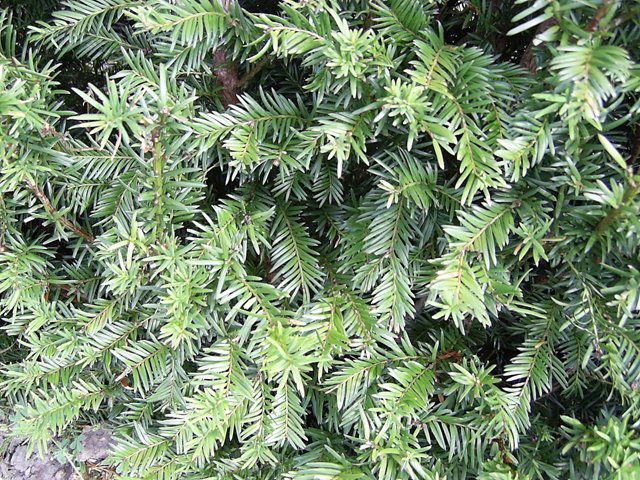 Sometimes referred to as English Yew, the leaves are shiny dark green needles that are pale green underneath. This evergreen Instant Hedge should be planted a sunny or partially shaded position but will tolerate full shade. Taxus baccata is happy in both chalk and clay and will thrive in all but the most acidic of soils. However Yew does not like particularly wet sites so these should be avoided or suitable drainage should be installed prior to planting. 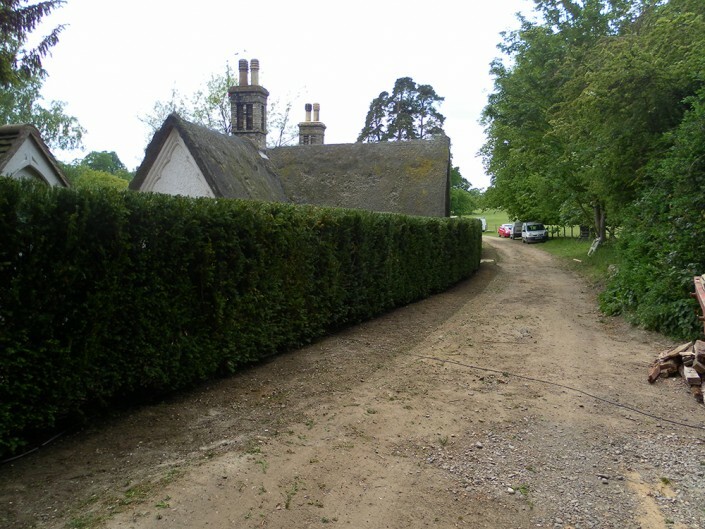 Although slow growing (5 – 20 cm/year) a Yew hedge should be trimmed once a year, preferably in August.